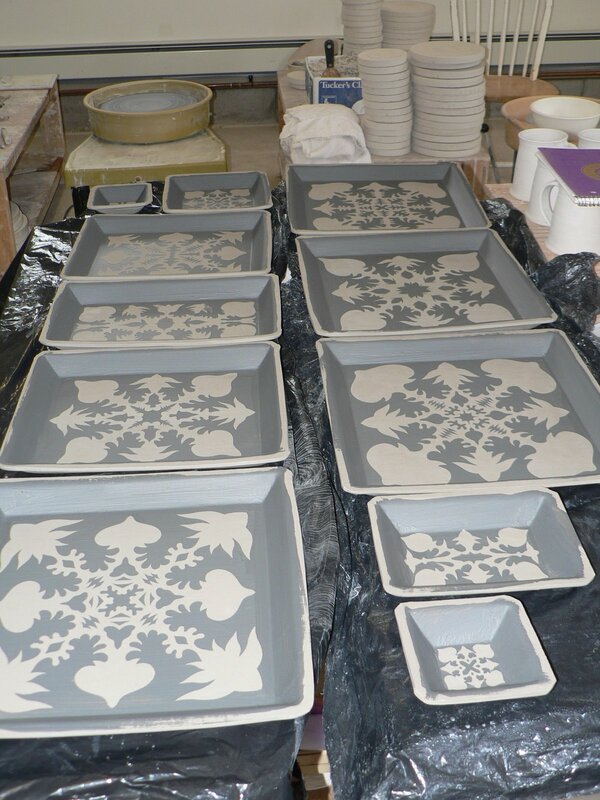 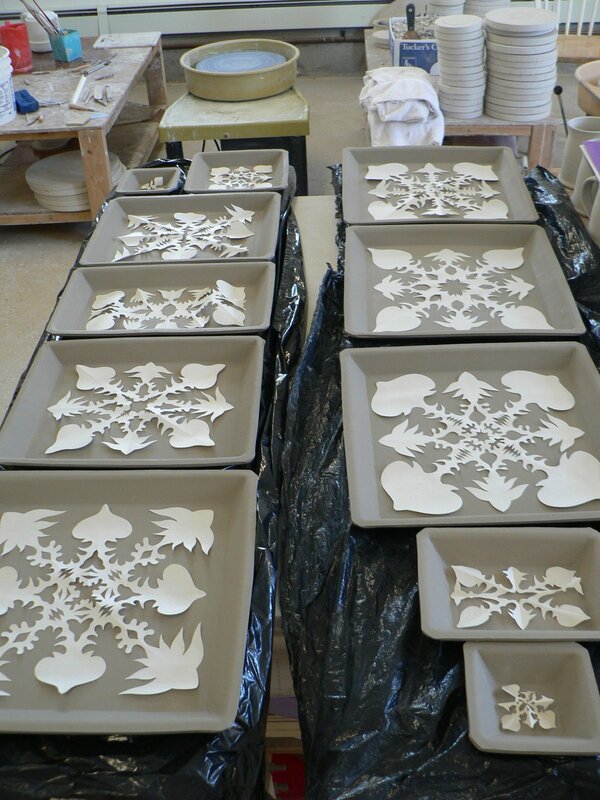 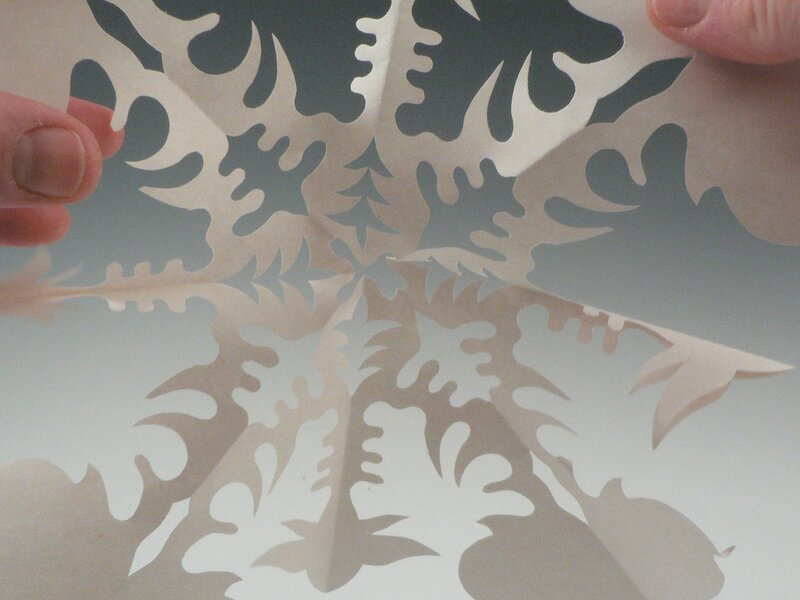 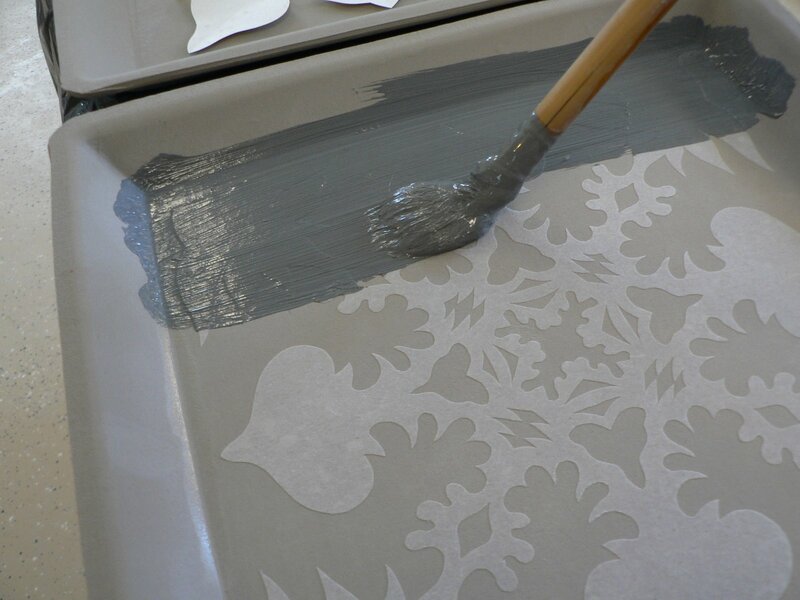 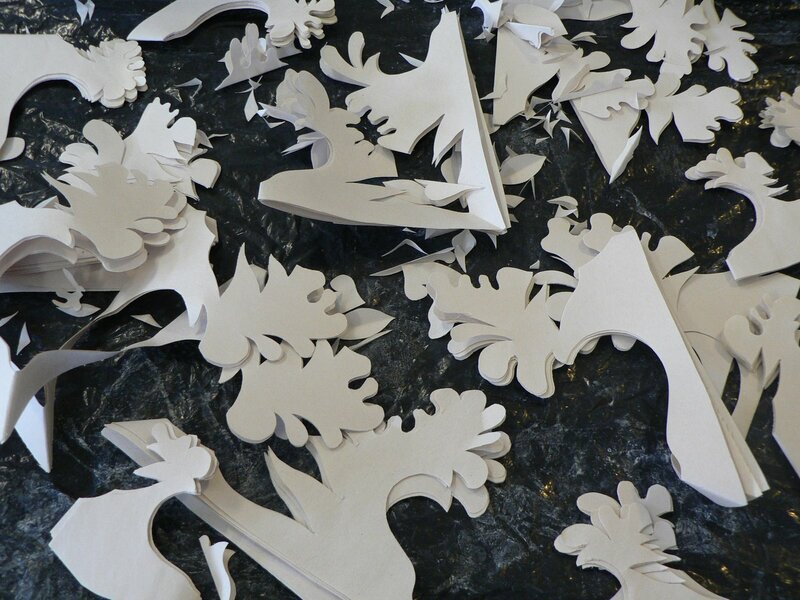 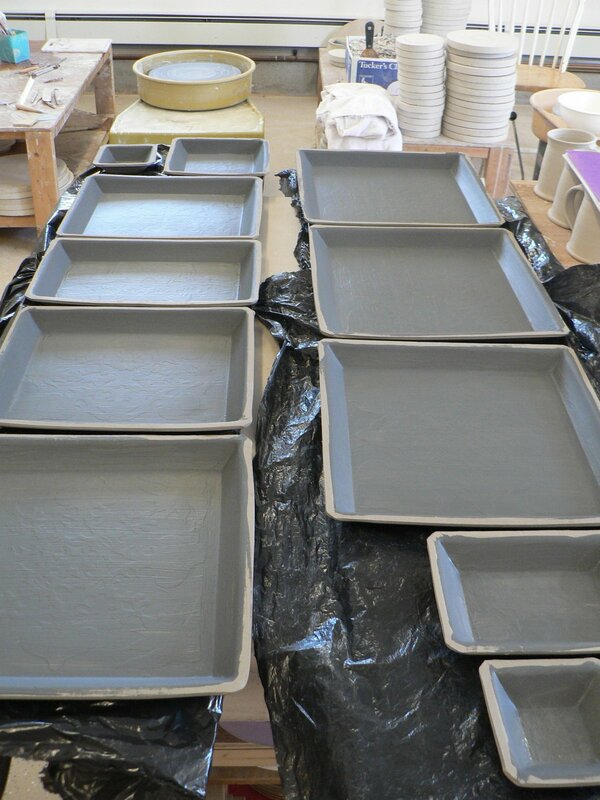 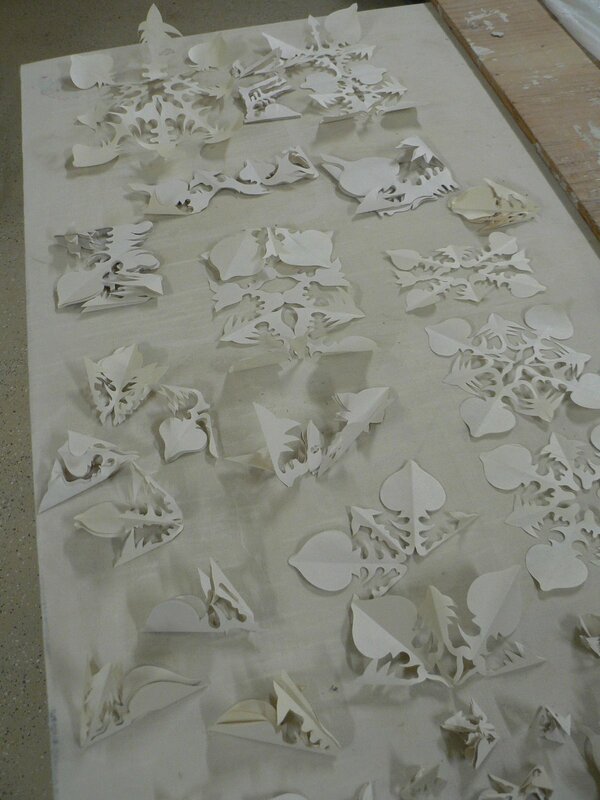 Today’s blog is mostly pictures -of the process I use to make snowflake designs on my pottery. 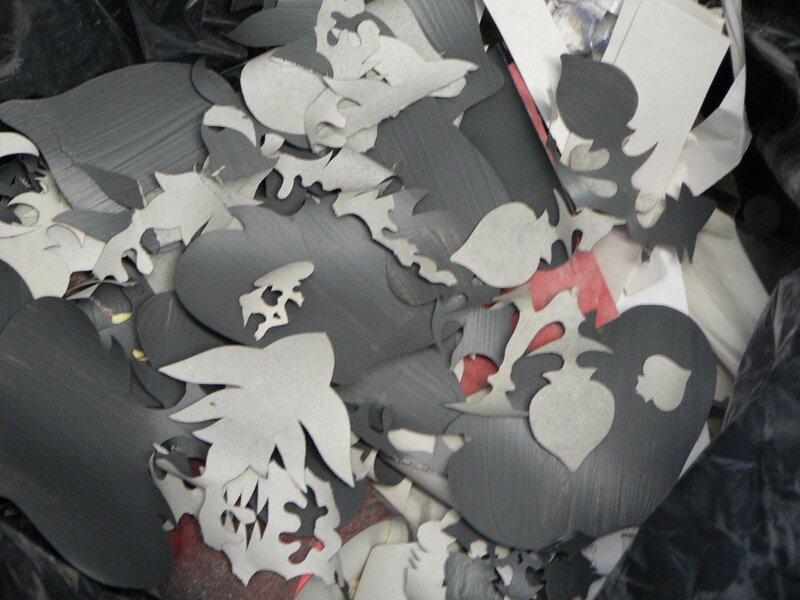 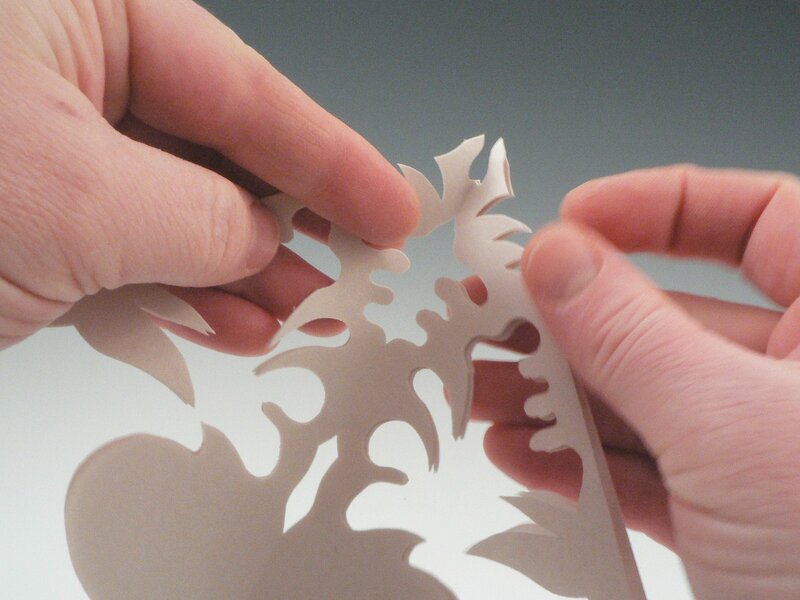 …but these neat leftover cut bits give me ideas!! 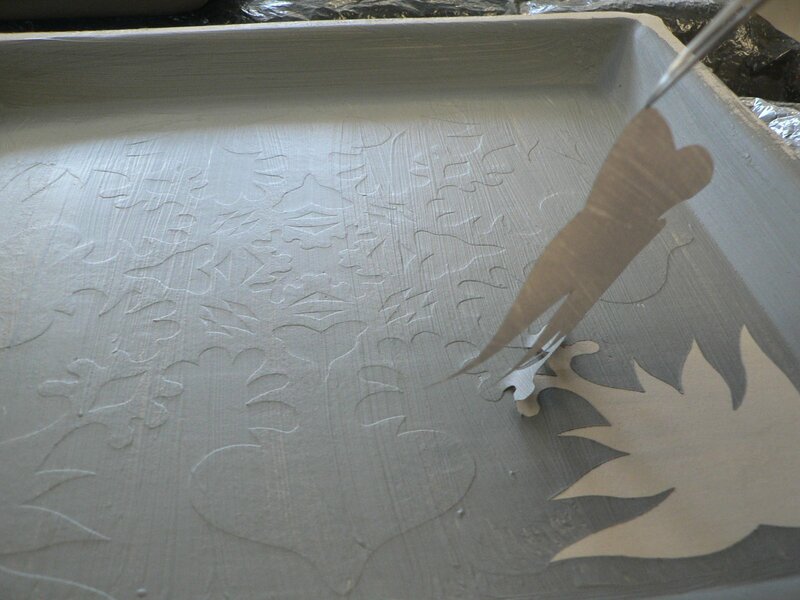 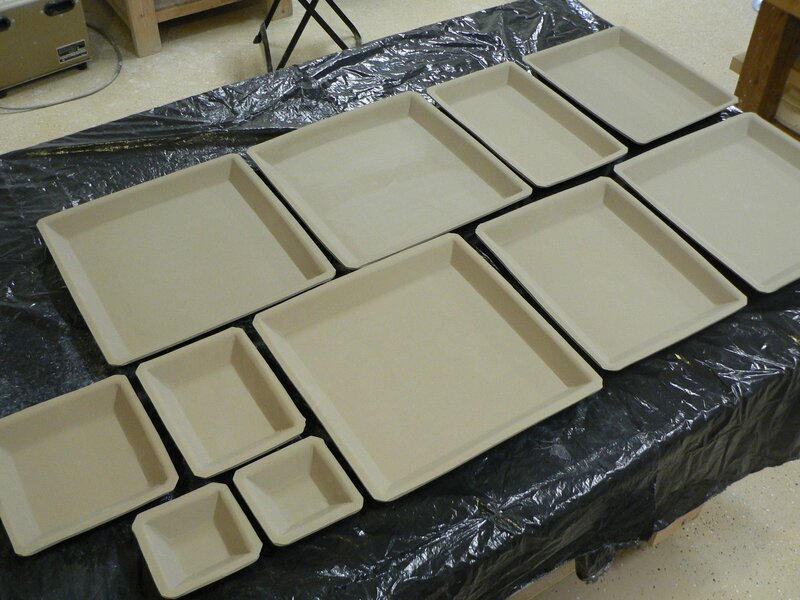 You can see a finished platter using this method here in my Etsy shopalong with a few other pieces.